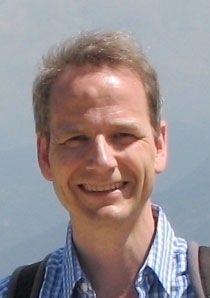 Congratulations to Professor Philip Mountford (University of Oxford; Chair of the Dalton Transactions Editorial Board), for his recent 2015 Schlenk Lectureship award, sponsored by BASF and the University of Tübingen, Germany, for his outstanding research into small molecule activation chemistry. The Schlenk Lecture was established to honour the seminal work and research of Wilhelm Johann Schlenk; it includes a monetary prize, guest professorship, and additional allowances for accommodation and travelling. Previous prize winners are Professor Warren Piers (University of Calgary, 2011; Associate Editor, Dalton Transactions Editorial Board), and Kyoko Nozaki (Tokyo University, 2013). Each Dalton Transactions Lecture awardee is provided with an honorarium and a commemorative plaque. 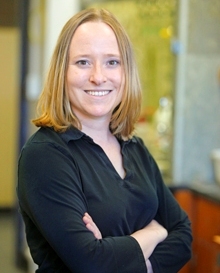 Professor Thomas is an Associate Professor of Chemistry at Brandeis University, and her research program focuses on synthetic inorganic, organometallic and bioinorganic chemistry. In 2010, Professor Thomas was selected for the U.S. Department of Energy’s Early Career Research Program and in 2011, she was named a Alfred P. Sloan Fellow. Christine is also the recipient of a 2012 National Science Foundation CAREER award and was selected as a 2012 Organometallics Fellow and a 2013/2014 Chemical Communications Emerging Investigator. Her dedication to teaching was recognized with The 2012 Michael L. Walzer ’56 Award for Excellence in Teaching at Brandeis. In 2012, she joined the Advisory Board for Chemical Communications and, as of May 2014, she is an Associate Editor for Dalton Transactions. Congratulations to Professor Thomas for her Dalton Transactions Lecture award! Congratulations to the below poster prize winners who were awarded prizes during the RSC Southern Dalton Meeting April 2015 which took place in Falmer, Brighton from the 20th – 21st April 2015. The conference was a Regional meeting arranged by the Dalton Division at the Royal Society of Chemistry to discuss all aspects of inorganic chemistry. Invited speakers were Professors Polly Arnold, (University of Edinburgh) and Eric Meggers (Philipps-Universität Marburg, Germany). A poster session was held for postgraduate students and the following were awarded poster prizes: James Lawson (Manchester), Christopher Wright (Oxford) and Irene Maluenda (Sussex). 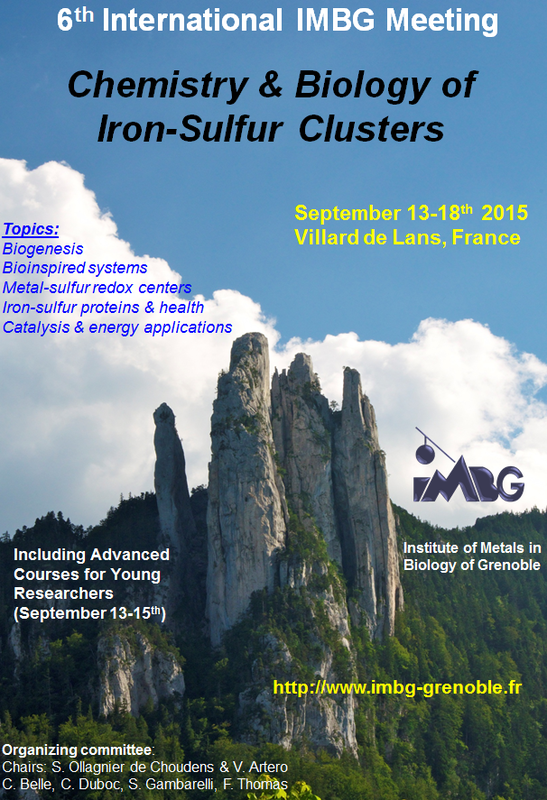 Dalton Transactions and Metallomics are proud to be sponsoring poster prizes for the 6th International IMBG Meeting on Chemistry & Biology of Iron-Sulfur Clusters. The meeting will be held on 13-18 September 2015, in Villard de Lans, a village located near Grenoble, France, in the beautiful surrounding of the Vercors mountains. It will include a two-day Advanced Course followed by a two and half day Conference. Click here for full information and register today! We are pleased to congratulate Henryk Kozłowski, a Chartered Scientist of the Royal Society of Chemistry, on his 70th birthday and >90 articles in Dalton Transactions (including Journal of the Chemical Society, Dalton Transactions). Dalton Transactions is delighted to be sponsoring the XIII International Symposium on Inorganic Biochemistry, organized between 1st and 6th September 2015 in Karpacz, Poland. The first International Symposium on Inorganic Biochemistry, first of the series of conferences organized by Henryk, also took place in Karpacz, and now, three decades later, it is there again, in close proximity to where it took place for the first time. This year’s conference will be quite special; we will all celebrate Henryk’s very important anniversary. As usual, the conference aims to provide a valuable discussion forum on recent advances in cross-cutting fields of inorganic, coordination and bioinorganic chemistry with biology and medicine, in particular discussing topics such as chemical structure and thermodynamics, solution equilibria and coordination chemistry of metals with biomolecules; transport, homeostasis and toxicity of metals in diseases; metal-based therapy and diagnostics. More information will soon be available at www.henryk.uni.wroc.pl. Henryk Kozłowski is the founder of Polish bioinorganic chemistry, currently working at the interface between chemistry and biology. At the Department of Chemistry, University of Wroclaw, he created one of the most dynamic research teams – the Bioinorganic and Biomedical Chemistry group. Apart from his contribution to the Royal Society of Chemistry, the list of his most important honors and awards include: the Membership of the Polish Academy of Sciences and the National Science Centre, honorary doctorates from the Taras Shevchenko University in Kiev and the University of Gdansk, the prestigious Marie Curie National Science Award in Chemistry and numerous awards of the Minister of Polish Science. Henryk has been a visiting Professor at the Universities of Strasbourg, Siena, Ferrara, Florence, Sassari, Cagliari, Lille, Dunkirk and Paris. His scientific achievements include 33 supervised PhDs, a Hirsch index of 42, over 500 original papers, 17 book chapters, over 350 invited lectures given at international conferences and at various universities; he has been cited over 9400 times. Many congratulations to our Dalton Transactions Editorial Board member Professor Russell Morris, on winning the Royal Society of Chemistry 2015 Peter Day Award, for his pioneering work on the chemistry of porous solids, especially his discovery of the Assembly-Disassembly-Organisation-Reorganisation route to zeolite synthesis. Russell is Professor of Structural and Materials Chemistry at the University of St. Andrews, and his research interests lie in the synthesis, characterisation and application of porous solids. Please take a look here to find out more about Russell. Other recipients of RSC awards can be found here. You are currently browsing the Dalton Transactions Blog blog archives for June, 2015.